Sometimes, when a defendant is convicted, they will be offered a chance at probation or parole. Probation and parole are supervisory legal situations in which a person is granted freedom from incarceration in exchange for adhering to a certain set of terms or conditions. These are typically managed or enforced by a probation officer, selected by the county court. In Montgomery County, these officers are assigned by the Adult Probation Division of the Montgomery County Court of Common Pleas, which is located in Norristown, Pennsylvania. When a person is accused of violating their probation, they will face severe consequences. Any violation of the terms of probation can land someone in jail, or with extended periods of probation added on. Defendants are permitted a two-stage hearing process to defend themselves against claims of probation violations. If a defendant is found in violation of their probation following this hearing process, they will face the full consequences. The first stage of the hearing process is known as a Gagnon I hearing. This is also sometimes referred to as a detainer hearing. These hearings will determine if there is sufficient "probable cause" to bring violation allegations against a defendant, and also determine whether or not the defendant is to be detained to await their second hearing. At this stage, a designated hearing officer will decide upon the hearing, and evidence against the defendant will be presented by the probation officer. Defendants may present their own supporting evidence at this stage, and may even have attorney representation. The second stage in the probation hearing process is known as a Gagnon II hearing; also known as a VOP hearing. This is to be the final hearing in the probation hearing process and is a defendant's last chance to defend themselves against the violation claims. At these VOP hearings, a judge will preside over the matter, and also hold responsibility for making the decision. In addition, a prosecutor will be presenting evidence against the defendant in this matter. Although there are similarities between this probation hearing and a criminal proceeding, it is important to remember that probation proceedings are much more delicate because of one reason. The standard of evidence in probation proceedings will be "a preponderance of evidence." This is a much lower standard than the "beyond a reasonable doubt" standard used in criminal cases. Can a probation violation attorney help lift a detainer in Montgomery County? Lifting a detainer in Montgomery County is not easy, but depending on the circumstances, may be possible. The position of the Montgomery County Probation Department, as may be expected, will generally not help defendants facing alleged probation or parole violations in Norristown, PA. For example, the defendant's probation officer will almost always recommend that the detainer remain "in place" at the Gagnon I hearing pending the Gagnon II VOP hearing; which would generally take place before the defendant's "back" judge (the judge who sentenced the defendant)​. If the proper steps are taken and an aggressive defense is mounted, however, the likelihood of getting the detainer lifted at the detainer hearing in Norristown will be greatly increased. In fact, in limited instances, it may even be possible to get the "back" judge to order lifting the detainer in advance of the detainer hearing itself - if the judge approves that the detainer be lifted in advance of the Gagnon I hearing in Norristown, the question of whether the detainer would otherwise remain in place will not be at issue at the time of the hearing itself. The Montgomery County Adult Probation Department is located at 100 Ross Road, # 120, King of Prussia, PA 19406. Probation and parole violations are dire situations that are highly restrictive to defendants. Accusations of violations can arise seemingly out of nowhere, and defendants face a paper-thin standard of evidence in their hearings. These hurdles are difficult for a person seeking to show their side of the story in court. Attorney Joseph D. Lento worked as a probation officer while attending Temple University's Beasley School of Law at night, and he knows which defense strategies will work best when a client is facing a violation of probation or parole in Norristown. 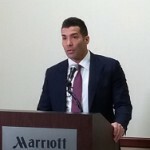 Whether the violation is due to a new arrest, positive drug screen, failure to report, or any other factor, Joseph Lento knows how to approach the Montgomery County Court, the judge, the Montgomery County Prosecutor's Office, and the probation officer, and he is not satisfied until he gets his clients the best possible result. Joseph's experience both behind the scenes and on the front lines allows him to understand a client's probation violation from all angles, and allows him to find and employ the most effective strategies to get favorable outcomes for any client. If you or a loved one is facing allegations of a probation or parole violation in Norristown or Montgomery County, PA, contact attorney Joseph D. Lento today.